Omni-channel is about true continuity of the customer experience. The best way for a customer to perceive everything is to allow them to own their own data and experience, and then give them the ability to use it to guide creation and context of every shopping experience. When brands think customer experience, they need to think omni. It’s not about your customers or their customers; it’s about all customers. It’s important to distinguish an omni-channel user experience from a multi-channel retail experience. The multi-channel experience is what most businesses invest in today. They have a website, blog, a Facebook page, and a Twitter account. However, in most cases, the customer still lacks a seamless experience and consistent messaging across each of those channels. An omni-channel approach, on the other hand, accounts for each platform and device a customer will use to interact with the company. That knowledge is then used to deliver an integrated experience. Companies using this technique align their messaging, goals, objectives, and design across each channel and device. 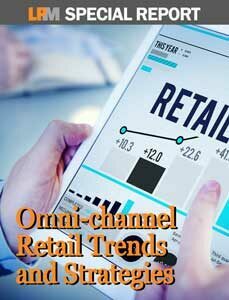 Enter your email and we'll send a link to the Omni-channel Retail Trends and Strategies Special Report right to your inbox.